The adventure begins in Rampa las Crayolas. 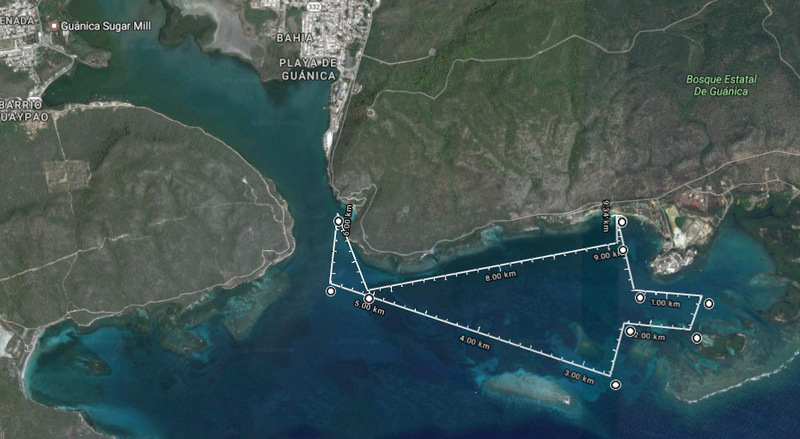 We head towards 8 amazing cays including: Punta Cueva de Ayala, Collado Cay, Enrique Cay, Caracoles Cay, the Jungle Beach, Playa Santa, Don Luis Cay, Turrumote and Romero Cay. 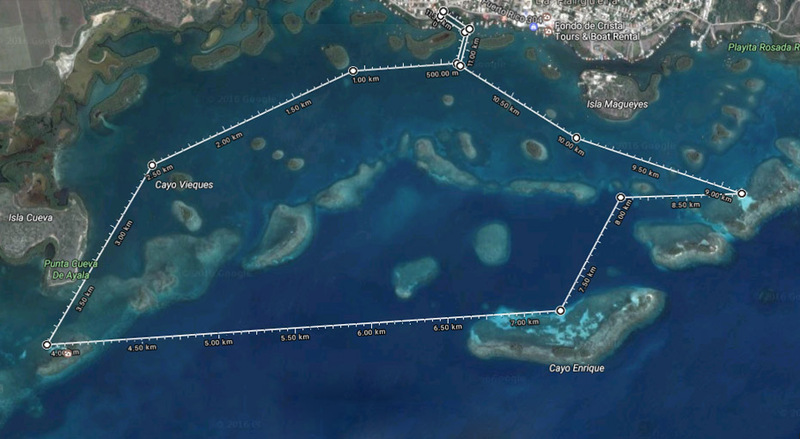 We then pass again through Enrique cay where we make a small stop to appreciate the marine environment. This a great place to go snorkeling, just let your tour guide you wish to do so. 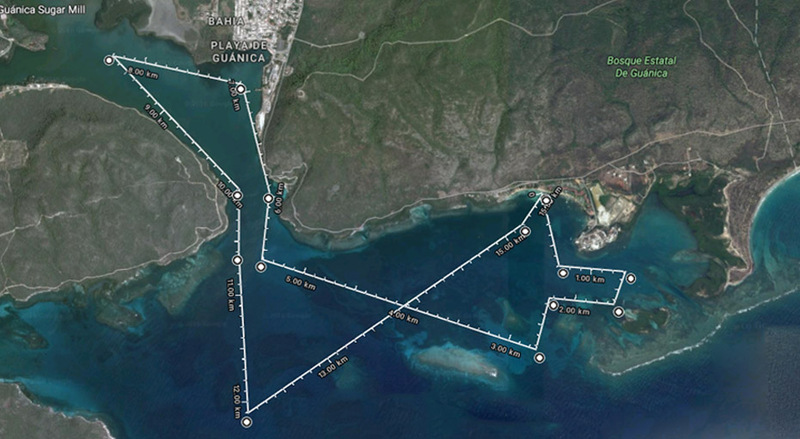 This route of 3 hours includes the route of 2 hours in Parguera . 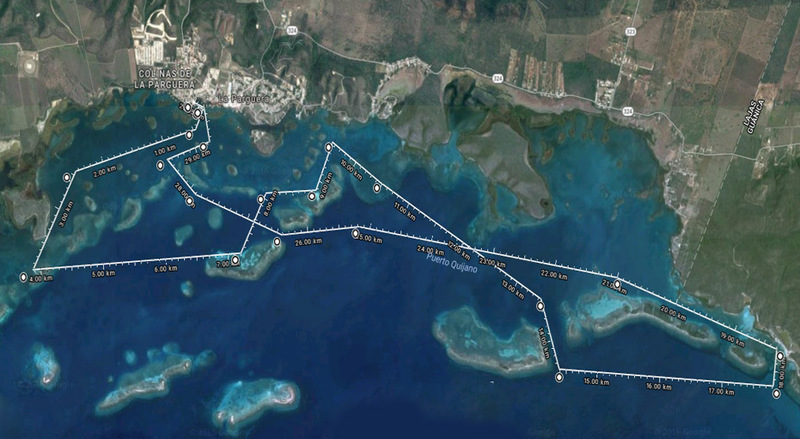 After passing by Turrumote I, II, it heads towards the beautiful Reef Media Luna, San Cristobal Cay and Margarita Cays. You may also go snorkeling in this area. Leaving from Caña Gorda. It heads towards the bay of the Aurora Cay (known as the Guilligan Island), passing through the front and back of the beautiful Island which you can observe and enjoy the crystal clear waters surrounded by a healthy mangrove system.Then we continue towards the Coral Reefs where you may observe the Balaju fish jumping, you may also see species such as pelicans, stingrays, manatees, turtles or dolphins. Next, we continue towards a scenic spot, a small beach cove framed by limestone cliffs named the beach of Jaboncillo, while passing by the old lighthouse. Route 1 plus 30 minutes to complete an hour tour when it starts after passing by the old lighthouse and the beach of Jaboncillo. The adventure then continues by entering the amazing Bay of Ensenada, as the adventure continues going around the whole bay, we will observe the historic Fort Caprón (where the American forces landed in July 25th,1898 during the Spanish–American war), The Written Stone, the ruins of the old sugar mill, and finally back to the Caña Gorda Beach.